Indian Premier League fans can checkout the full list of IPL 7 Capped players for auction along with their base price. The biggest cricket tournament in the world, Indian Premier League (IPL), is just around the corner and all fans are waiting anxiously for it. 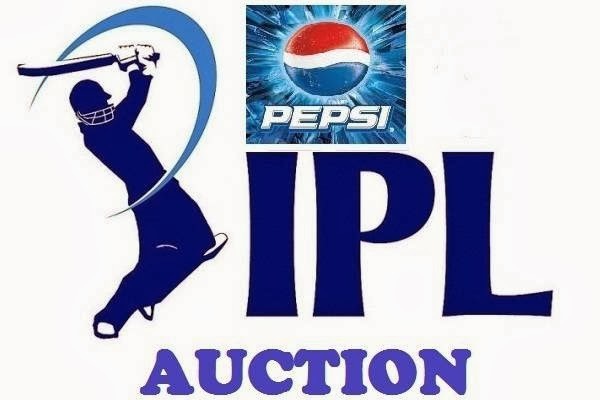 The auction for IPL 2014 is going to take place on 12 February and 13 February, 2014 at undecided venue in Bangalore. Recently, 233 capped players from 10 countries (India, Australia, Sri Lanka, West Indies, South Africa, New Zealand, England, Zimbabwe, Bangladesh and Netherlands) have been listed for the 2014 auction. The minimum base price for the players is Rs 30 Lakhs, whereas the maximum base price is Rs 2 Crore. There is no Pakistani player in the list of capped players. The list of uncapped players has not been revealed yet. From this year, players will be paid in Indian currency instead of US dollars. The Capped players list includes a total of 46 Indian players and 46 Australian players. But, only 31 Indian players and 10 Australian players are in the top base price bracket of Rs 20 million. The list also includes 39 Sri Lankan players, 29 West Indies players, 28 South African players, 18 New Zealand players, 11 England players, 8 Zimbabwe players, 7 Bangladeshi players and 1 Netherlands player. Some of the top, base price bracket players are Virender Sehwag, Brad Haddin, Yuvraj Singh, Mitchell Johnson, Dinesh Karthik and Brett Lee. The notable absentees from the Capped players list are Kumar Sangakkara, Dinesh Chandimal, Mitchell Marsh, Michael Clarke, Jos Buttler and Graeme Smith. 31 from a group of 233 capped players have invited the highest base price of Rs 20 million for the IPL players' auction scheduled for February 12 and 13 in Bangalore. View full list on ibnlive.in.com.